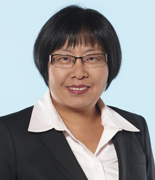 Sylvia Tseng is a partner and has a wills and estates practice. She prepares wills, powers of attorney for property and personal care, living wills, estates plans and trust deeds, obtains Letters of Administration for estates, prepares estate accounts for passing before the court and deals with competency matters and guardianships. She is fully fluent in Mandarin. Sylvia is a speaker on wills and estates and does frequent presentations on this topic. Canadian Bar Association, Metropolitan Toronto Lawyers Association.